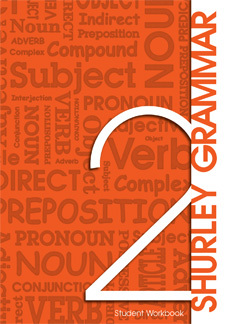 Shurley Grammar is a solution for students who have not yet mastered the fundamentals of grammar and its use in basic sentence composition. It integrates proven methods of instruction and can be used as an alternative core curriculum or as supplemental. It allows educators to tailor to the specific instructional needs of their students, helping them achieve their overall goals. Shurley Grammar is powerful and flexible enough to meet the needs of students, providing a clear understanding of grammar and sentence composition. This comprehensive Teacher's Manual includes everything teachers need to plan, manage, and implement the 15-week program. The Teacher's Manual includes instructional routines and scripted lessons for intensive grammar instruction. Each softcover Teacher's Manual comes with an audio CD that demonstrates the jingles in song, chant, and instrumental formats. 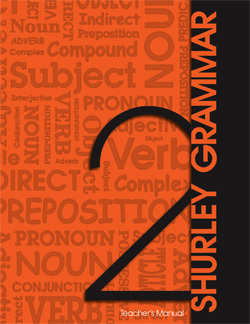 In order to complete the 15-week grammar course, each student will need a consumable workbook. Each workbook contains definitions, practices, and checkups. Student Workbooks are not copy masters and may not be duplicated.